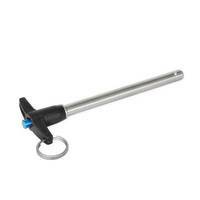 Metric Lock-Out Type Indexing Plungers offer rest position. RoHS-compliant series GN 608.6 suits applications that require surface mounting and where plunger needs to stay in retracted position. To achieve this, knob is rotated 90Â° after retraction. Head of plunger body, provided with notch in opposite positions, prevents accidental slippage back into forward position. Plunger pins are made of nickel-plated stainless steel, and mounting plate is also of stainless steel. 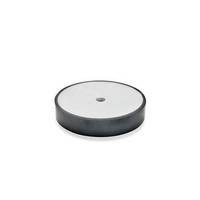 Knob is matte black glass fiber reinforced nylon plastic. NEW BERLIN, WI - J.W. Winco, Inc., a leading supplier of standard industrial machine components, announced it now offers series GN 608.6 Metric Size Indexing Plungers with Rest Position, Plate Mount, Lock-out Type. 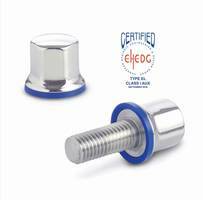 These RoHS compliant indexing plungers are used in applications which require surface mounting, and where the plunger needs to stay in its retracted position. To achieve this, the knob is rotated 90° after being retracted. The head of the plunger body is provided with a suitable notch in opposite positions so as to prevent the plunger from accidentally slipping back into its forward position. 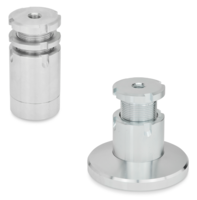 The plunger pins are made of chemically nickel-plated stainless steel, and the mounting plate is also of stainless steel. The knob is matte black glass fiber reinforced nylon plastic, not removable. J.W. 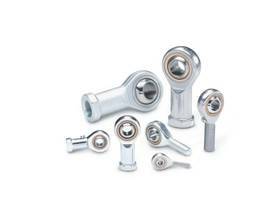 Winco offers an extensive selection of inch and metric size adjustable levers, cabinet U-handles, plastic and steel hinges and locking mechanisms, revolving and retractable handles, hand wheels, hand cranks, tube connection and conveyor components, leveling mounts, hand knobs, spring, ball and indexing plungers, jig, fixture and fastening components, retaining magnet assemblies, toggle clamps, metric casters and wheels, universal joints, oil sight glasses, and metric tools for the industrial and commercial equipment industries. J.W. Winco's Web site catalog, with 3D CAD and online buying, is viewable at www.jwwinco.com. Spring Plungers are available in M2 size. Hand Retractable Spring Plungers have non lock-out design. 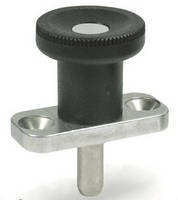 Press Fit Spring Plunger features stainless steel design. Indexing Plunger Mechanism is RoHS compliant. 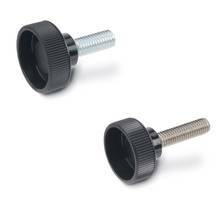 Ball Plungers come with threaded body.